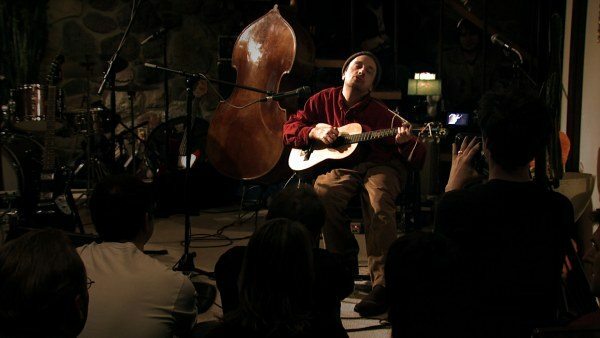 Michael has signed on to executive produce plan9films Vic Chesnutt project It Is What It Is–a 90-minute plus concert documentary filmed in Canada during Vic’s last tour. “Vic was one of the landmark artists and writers of our time,” said Michael. “The opportunity to extend his particular brilliance to a wider audience was the impetus to jump onboard this project.” Check here for more information on the film. P.S. : In other Michael news, have a look at SZ Magazin’s spring fashion editorial featuring Michael. The photos were taken by Marcus Gaab in Berlin. P.P.S. : Here’s a nice photo recap from Michael’s recent evening in New York for Times Talks.